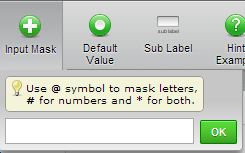 Do you mean to ask about Input Mask? If you mean to ask something else, please let us know. We are happy to assist you.